Pets are diagnosed with epilepsy often only after they have a seizure. Because seizures can be caused by any process that alters the normal neurological function, a definitive diagnosis can be obtained only after the doctor conducts a physical examination, obtains a thorough history, and has the results of medical and/or advanced imaging (CT or MRI) diagnostics, if necessary. Once a diagnosis is determined, the doctor can create a plan to manage and treat the patient. This form of epilepsy is one for which no underlying pathology or abnormality can be identified. 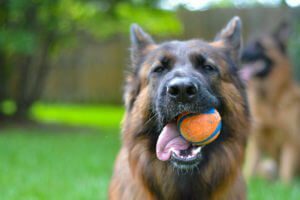 Typically seen in dogs between one and five years of age, it is suspected that idiopathic epilepsies have a genetic basis. Breeds that are predisposed to idiopathic epilepsy include beagles, standard poodles, Labrador retrievers, German shepherds, German pointers, golden retrievers, Irish wolfhounds and the Belgian sheepdog family. In these cases, the epilepsy is secondary to a disease process such as a benign or malignant mass in the brain; congenital brain malformation such as hydrocephaly; infectious or non-infectious inflammation of the central nervous system (CNS); cerebrovascular disease; or cranial trauma. Causes of symptomatic epilepsy also can be metabolic in nature, such as hepatic encephalopathy, toxin ingestion, and glucose or electrolyte imbalances. This form of epilepsy is referred to as non-active disease and is the most challenging of the three categories to diagnose and treat. This classification is used when a secondary condition is suspected but cannot be proven using current diagnostic and advanced imaging (CT or MRI) techniques. Such patients may have partial seizures; a history of suspected trauma or infection; and/or may be resistant to traditional seizure pharmacotherapy. 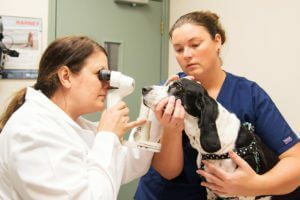 Following the physical examination and complete patient history from the pet parent that includes the age at which seizures started, number of seizures at onset, response to previous treatment, and neurological status of the patient, a diagnostic plan is created. For patients highly suspected of suffering from idiopathic epilepsy, blood analysis, urinalysis, serum levels of the antiepileptic drug administered, and an ophthalmologic evaluation are usually performed. For patients suspected of suffering from secondary epilepsy such as those with multiple seizures at onset, seizures that are constrained to one side, abnormal neurological status, or those patients who are older than five years, the following diagnostic procedures are common: complete blood count (CBC) analysis, urinalysis, ophthalmologic (eye) examination, chest X-rays, MRI, cerebrospinal fluid analysis (CSF), and lab work on specific serum titers such as toxoplasmosis and neosporosis, when infectious conditions are suspected. Once a definitive diagnosis is determined, the doctor can create a plan to manage and treat the patient.